Last week’s article with the abovetitle elicited more responses than I have I have space to publish them in weeks. Below is a representative sample of the responses. Next week I will respond to some of the issues raised here. "A Modest Proposal" for our times? I fear that BH is the logical culmination of the long-term process in which the boundaries between state and private violence have blurred, with religious fanaticism serving as an excuse for BH's evil. I may be too romantic, but my hope is in a civil society refreshed by the organizing power of social media. There's so much decency and vision for a hopeful future for Nigeria online. Instead of Occupy Nigeria, maybe phase 2 is Take Back Nigeria? Very objective write up, Farooq! Interesting theory, but I am not certain if "privatized governance" is the answer though. Nigerian problems need to be tackled by Nigerians. We need to address the root causes of religious extremism in our northern communities - too many gullible uneducated kids on the street, lack of economic and educational opportunities and a leadership that is more interested in self-aggrandizement than in serving the citizenry. Just read your column and honestly I agree with you 100%. We Muslims have been living in self-denial about the reality of the existence of some murderous extremists by the name of B.H. I just wonder why this same theory of conspiracy is not being used by these groups of northerners to exonerate MEND. Unfortunately, our Government at all levels has left us to our own fate while they spend millions on security. The problem with many of you that are [members of the] intelligentsia is that you listen to yourself and yourself alone. Our experience with BH is not something to be explained by mere Islamic extremism. We have experienced religious violence in Nigeria as a result of religion extremism but none has been sophisticated, deepening, and articulated like BH's. If there is no direct conspiracy from Government it could be indirect. 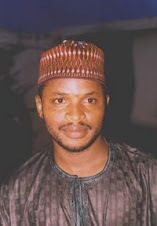 For instance, Kabiru Sokoto was arrested, he escaped and later re-arrested by the same government security agency. When he was re-arrested pressmen were not allowed to talk to him. When the Kaduna media houses were bombed the citizens, and not the security, arrested the would-be bomber and handed him over to police, yet the IGP says the fellow will not be paraded when the public wants him to be paraded in order to be educated on the outlook of a bomber so that we can make more arrest. Despite all the arrests made in connection with BH none has been successfully prosecuted. With all of these evidences and more you still want us to believe that the present government is not conspiring against us. I'd like to give you the benefit of the doubt as per your research on this thorny issue of BH. You may be reading some of the happenings online but we that are experiencing them first-hand have all agreed to the fact that the whole phenomenon is fuelled 80 to 90 percent by saboteurs. Agreed the real BH could get training and expertise from AQIM, but it is inconceivable that the level of intelligence with which they strike and inflict damages on their targets and their sophistication of weaponry as well as the degree with which they elude our security personnel is independent from a strong support and finance from a sympathizer who has connections from the top of govt. 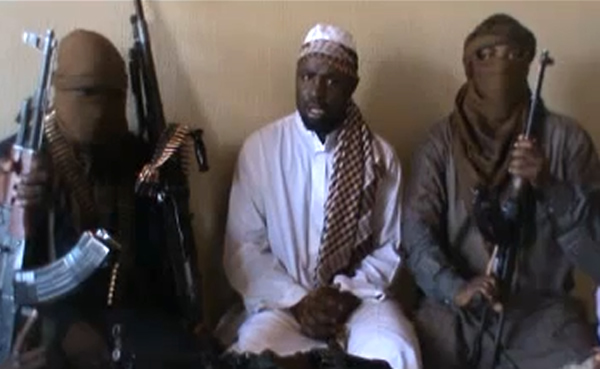 We also believe that no sane Muslim or northerner would inflict such pain on his brethren. You must have been aware of the accusations by the NSA, as well as the overtaking of our security intelligence outfit by the Israelis. No conspiracies make your analysis and deductive conclusions. Please accept my condolences on your lecturers' demise. My feelings were reflected in your piece, and I must say you always have an intelligent way of explaining and hitting the nail on the head. Oh boy, did I cry when I heard of the BUK attack! I sat in the same class as Prof Ayodele for the best part of 2 years during my undergrad studies, as he would jokingly teach analytical chemistry to us in Hausa language! One of my best professors he was. Oh Nigeria, my Nigeria...I have three Hausa words for our leaders: ALLAH YA ISA! Nigeria has already been privatized with leaders and elite that cannot make decisions domestically. Have you forgotten that we are ruled by the White House and financial (western) institutions? Nigeria is moving to a failed state but time shall tell. I prefer a more holistic theory developed via listening to both Boko Haram and our Commander In-chief (and Mr Azazi of course). The extremist religious ideology plus poverty may provide the willing suicide bombers. The funds and logistical support needed to sustain the insurgency may come from disgruntled politicians with an agenda of their own. While the religious component is undeniable, there are a lot of signs that the political component also plays significant role and it may even be the decisive factor in ending the menace. I quite agree that the situation has been allowed to go out of hand. But generalizing every attack to BH group is erroneous going by incidences of attacks in Bauchi, Jalingo and of recent Potiskum, so we should be analyzing each of the attacks individually before making generalizations. Job Bombings: Can We for Once Be Truthful?